Much of our time and resources are spent on protecting ourselves from any number of things we view as potential threat or vulnerability. God offers us the best coverage available for any detail of our lives. Consider with me the ways we are protected by our Mighty God. 1. He is our defense. Psalm 5:11 – But let all those rejoice who put their trust in You; let them ever shout for joy, because You defend them; let those also who love Your name be joyful in You. • A strong defense is a compliment to a good offense. 2. 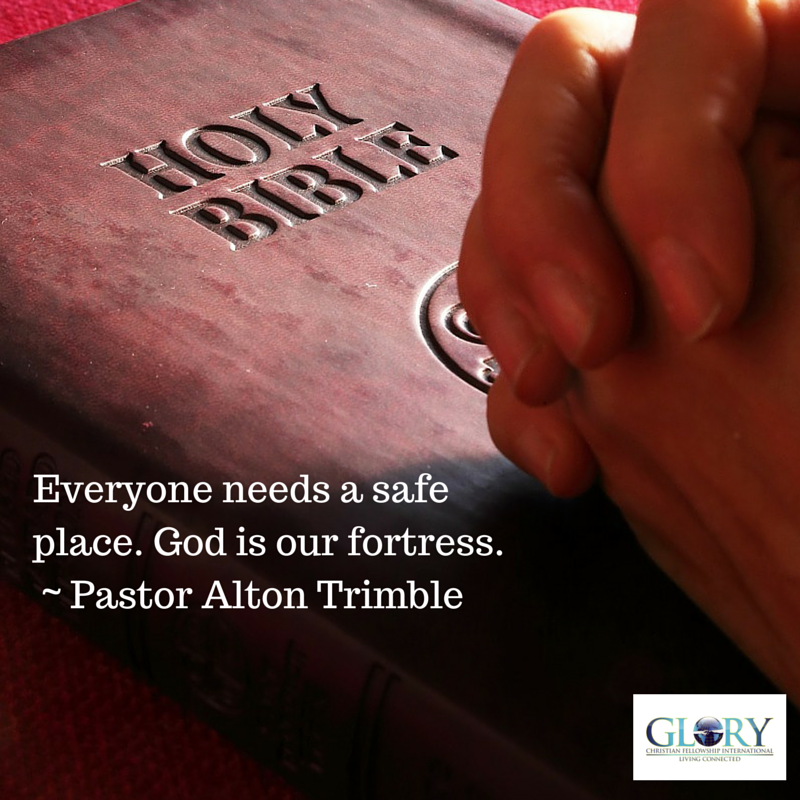 He is our fortress. • Everyone needs a safe place. 3. He is our hiding place. Psalm 17:8 – Keep me as the apple of Your eye; hide me under the shadow of Your wings. • Sometimes winning is just being able to get away. 4. He is our refuge. • Our comfort, relief, help and hope. 5. He is our shield. Psalm 84:11 – For the LORD God is a sun and shield; the LORD will give grace and glory; no good thing will He withhold from those who walk uprightly. • All incoming threats are deflected by His shield. In His infinite wisdom, God has crafted a fail-proof protection strategy for His children. We have but to read our policies and take advantage of the many benefits therein. As you meditate on these five resources that our Heavenly Father is to us, think about the One you need most today and thank Him for making that available to you right now. Memorize these scriptures and share them with someone who may need them this week.